Graduation is right around the corner! 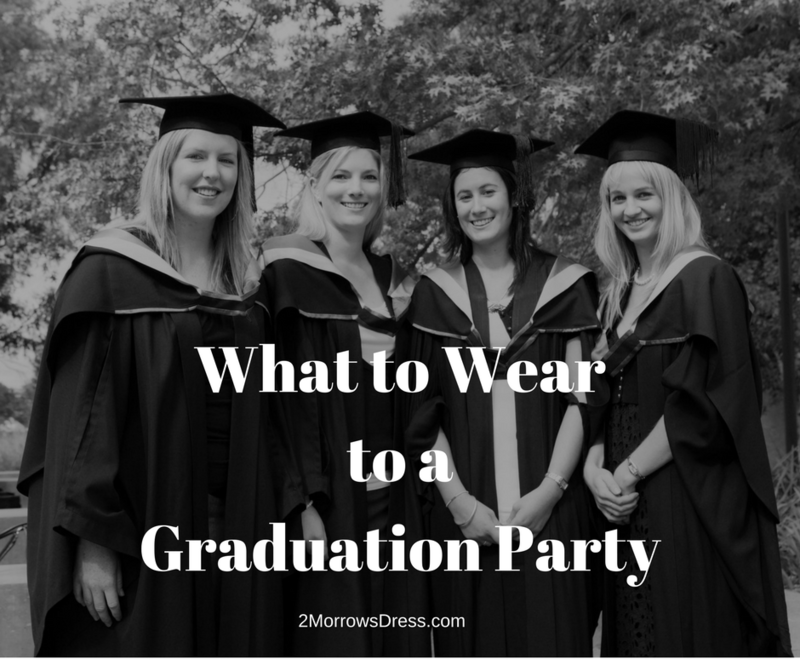 Many years has passed since I graduated, so this edition of What to Wear is written by guest writer, Lisa Griffin. Soon you will be spending your last days at your university or college. Besides final tests and thoughts about your future perspectives, it means a memorable party! Are you excited about the day when everyone can forget about assignments and devote attention to choosing dresses for the graduation ceremony? All the seniors impatiently wait for this major event. Staying in trend might be difficult in everyday life, but when it comes to graduation, it’s even harder. So, what shall you wear to look fabulous? First, remember that no matter how pretty or stylish the outfit you want to choose is, it should be appropriate for the occasion. 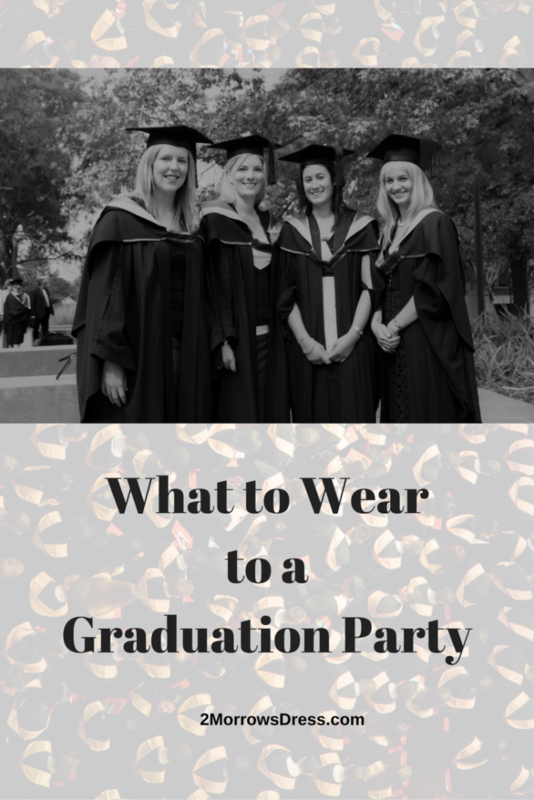 Keep in mind that all students will be wearing gowns for an official part of the ceremony, while suits and dresses will have to wait until the party night. Your outfit should also be suitable for the surroundings. If the celebration takes place at a restaurant, long dresses and black suits will always be a good choice. And if you plan just a BBQ with friends, you should go for something more casual. Anyway, you don’t want to look bad in pictures, so here are some of the coolest graduation outfit ideas! The decision about the venue is usually made by all students together. So, you can always give your own suggestion. A hotel, restaurant, country club, or somebody’s home done up using some creative graduation party decoration ideas – these options imply that the night is going to be fancy. 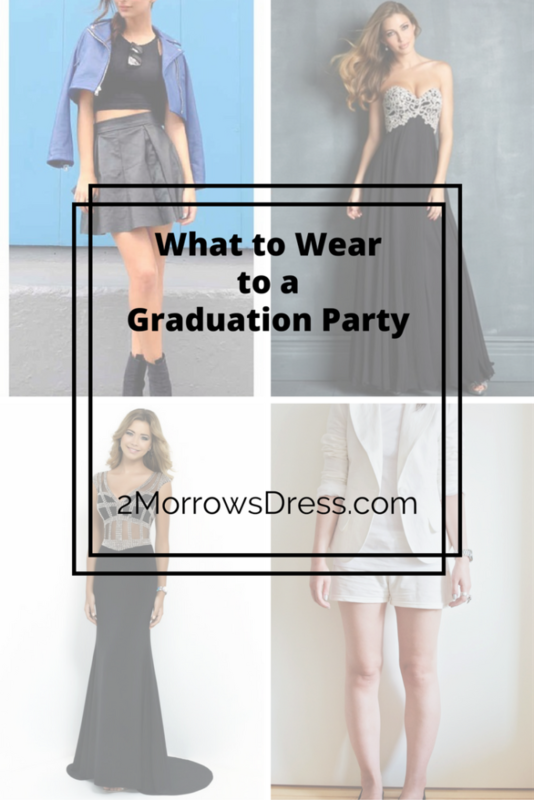 Most people only graduate once, so such parties are a rare chance to get elegant and stylish! Normally, the event is held in summer, meaning light colors will be in trend, so white graduation dresses and suits will work as an excellent option. Boys wearing light shirts and one-color pants will be handsome and trendy. A tie and a wrist-watch would complete the look. Girls can wear long skirts and open shoulder tops to look fabulous, and high heels will become the best addition to such an outfit. However, you need to remember that you will probably have to spend the whole night wearing your shoes, so think ahead if you are ready for such a challenge. Feel free to add some beautiful jewelry and accessories to your look – it is a special night when you can get all dressed up. If you want to stand out of the crowd and are not afraid to attract attention, add some color. You may experiment with a dress in brighter colors instead of a classic look. Think of what colors are in trend now and choose the one that matches your appearance and the one you like most. Be sure it’s a proven way to catch someone’s eye! On the contrary, if you want your outfit to be smart and elegant, there is nothing bad about going for classics – black graduation dresses and suits are something you just can’t go wrong with. Besides, you may keep your whole look in one color or add some colorful details – it’s up to you. Are you ready to impress everyone with your stunning beauty! Graduation day is the day when former students celebrate the end of an important period and the beginning of an adult life. If you decide to celebrate this event with your friends at a local café or make a graduation barbecue in your backyard, a suit and an evening dress would probably be not the best option for such kind of a party. But you still have an endless number of options! Boys can wear stylish pants or jeans, shirts with short or rolled-up sleeves, and even sneakers. You’re free to choose among various colors and patterns, trying to make your outfit smart, casual, and comfortable at the same time. Girls do have numerous options as well: you can go for a short dress, a pantsuit, a nice shirt, multiple skirt-and-top combinations, and even a jumpsuit. Feel free to experiment! Choose the outfit you will feel comfortable in but don’t compromise your beauty. When choosing shoes, you need to consider where exactly the party takes place – if you are going to walk on grass a lot, heels would probably be not a great variant. Try some stylish ballet flats or wedge shoes instead. Now, don’t forget about accessories as they can make the whole look become different. If you are not sure what to choose, look through fashion magazines or search the Web for graduation outfit ideas and get ready to catch attention! Graduation party is a special occasion to help you capture and save memories of your student years for a very long time. To make it perfect, you should simply love the way you look! If you will, everyone will too. 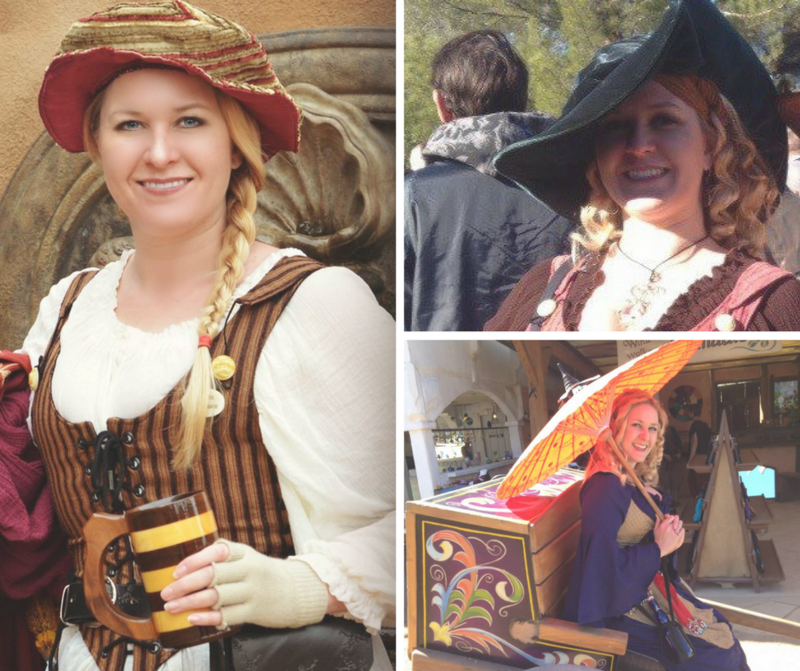 This event requires devoting some time to preparation, but choosing your outfit is a lot of fun and once you are ready, all you will need to do is to have fun!